"The hardest part...when you're gone for six months, your family grows without you...you come home to strangers. And then after you get home, if there aren't resources it makes it that much harder." —US Navy Chief Quartermaster John Lehnen. 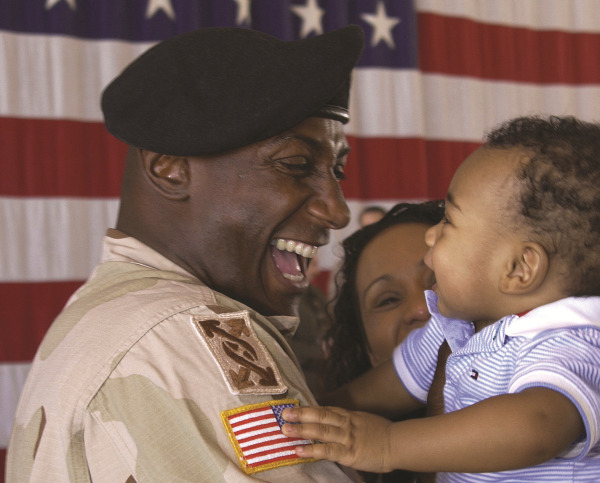 Approximately 1.8 million children and families of military dads are affected by the unique stress of military life, particularly during deployment. Help us support them! If you can help NFI achieve its target, together we can provide a complete Fatherhood Resource Center for a military base in need! NFI is running this 10-day campaign ending next Thursday April 4 to help support deployed dads and their families. Visit the Campaign Page and follow the instructions. Create a personal fundraising page for NFI's campaign.